To err is human, they say, but to really mess it up takes a computer. 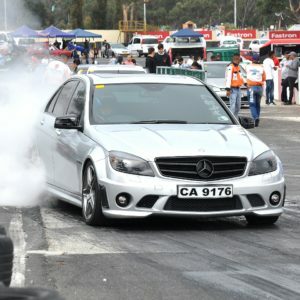 And that’s exactly what happened in Round 1 of the MSA Drag Racing season at Killarney International Raceway on Saturday 2 March. 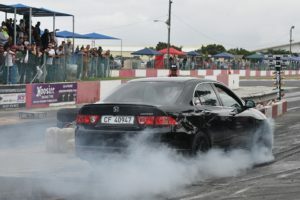 A fried hard drive in the computer that correlates the results didn’t affect the timing but it did mean the timekeepers were unable to compile a result on the day – but that didn’t spoil the vibe as competitors lined up their cars and bikes for a superb day of drag racing at the home of motorsport in the Western Cape. And if you don’t think they were serious – at least two front-wheel drive cars turned off their half-shafts on the line! 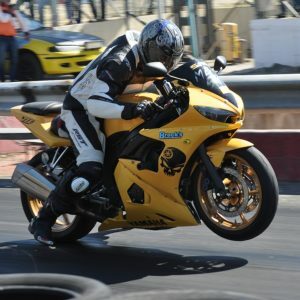 Conditions were perfect, with cool air and a warm track surface; the best of the cars were running in the low 10s, and the bikes in the high eights, to the delight of a large crowd. The timekeepers hope to have collated results within a week, which will just get us revved up for the next round on Saturday 30 March – see you there!